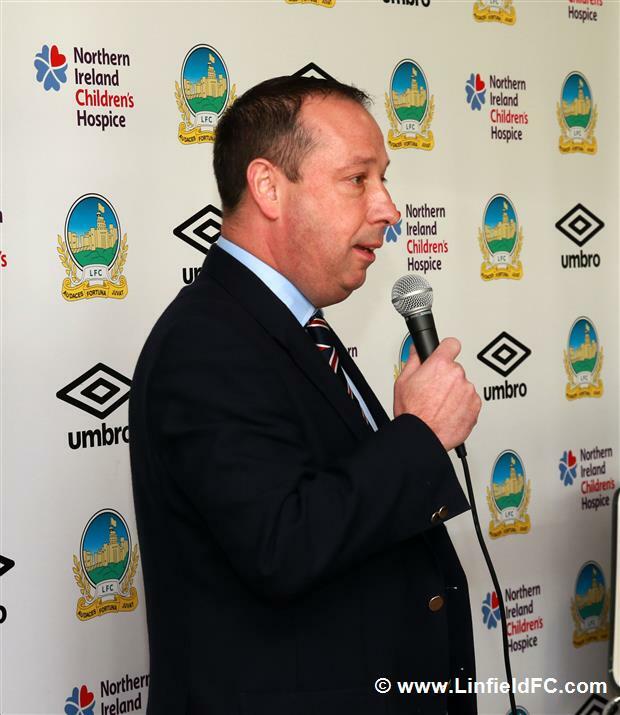 An enjoyable and successful pre-Match lunch event took place on Saturday involving special guests - legendary former Linfield midfielders Pat Fenlon and Tony Gornan. 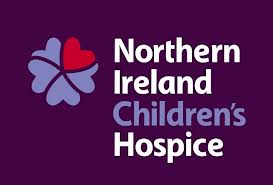 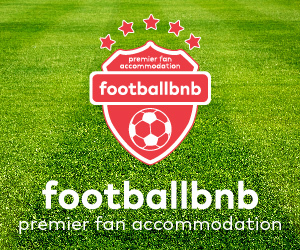 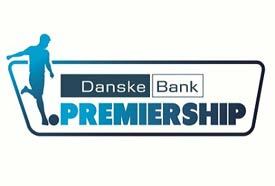 Thank you to all the supporters who booked in to make the event such a success in the Joe Bambrick suite in the South Stand at Windsor Park. 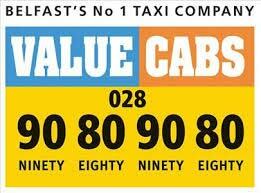 A special word of thanks to Tony and Pat for sharing their memories of great times in their Linfield careers. 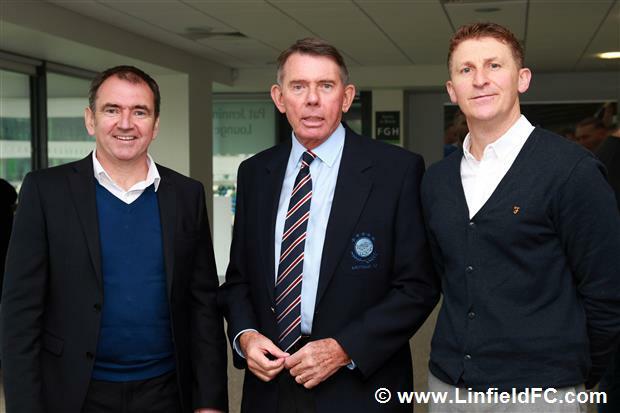 Pictured below - Linfield President Peter Lunn MBE welcomes Pat Fenlon and Tony Gorman to the Joe Bambrick suite on Saturday. 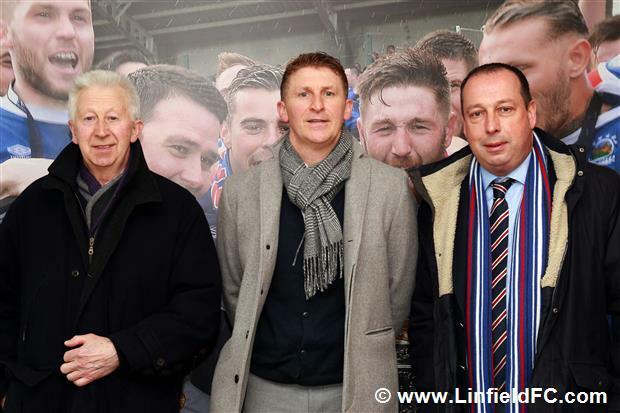 Below - Tony Gorman and his father with Linfield chairman Roy McGivern.